It’s not the big one, but it’s close. Yahoo confirmed long-suspected reports that a hacker had accessed millions of customer passwords. The number, however, is a bit shocking even to a reporter who’s been writing this same story for the past 10 years. Five hundred million. For many years, I’ve prepared myself to report on a very, very large-scale data compromise that would undercut the integrity of the internet itself, and perhaps cause immediate harm to the economy. This Yahoo news isn’t that. But it’s the closest thing to date. Yahoo disclosed on Thursday, Sept. 22, that 500 million user accounts had been compromised; data stolen by a hacker believed to be working for a nation state, the firm said. Yahoo has set up an information page on the hack. When I tried it Thursday afternoon, it was inaccessible, probably overwhelmed with traffic. The news follows reports in early August that a massive dump of Yahoo data was being sold online by someone using the same handle as a hacker who sold similar data dumps from LinkedIn and MySpace. In a sign perhaps that the data was old, and had been in the underground for some time, the hacker—using the name Peace—said he or she was selling data on 200 million users for a mere $1,400. Yahoo did not confirm this announcement was related to that incident. 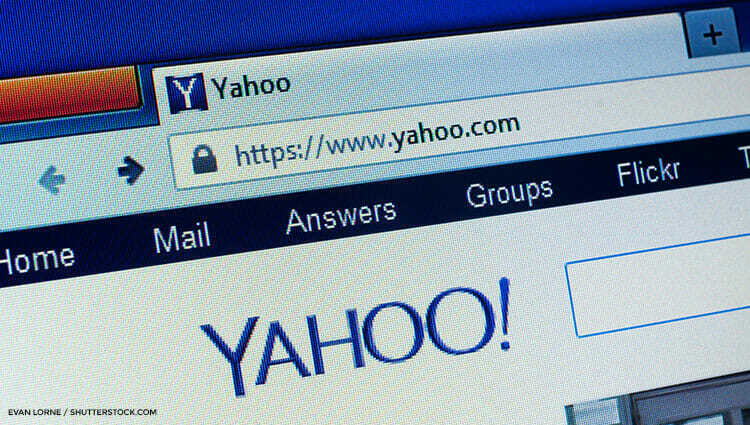 Yahoo says users should change their passwords. And in fact, stories about the Peace data sale claim offered the same advice. Yes, you should change your passwords, and passwords at any site where you may have used that Yahoo password. It’s a little like closing the barn door after the hacker’s already been inside for a while, however. “These steps include invalidating unencrypted security questions and answers so that they cannot be used to access an account and asking potentially affected users to change their passwords,” the firm said. It then tried to easy the blow a bit by talking about the increased prevalence of hacker attacks plotted by foreign governments. The dramatic bad news—it’s scale alone is stunning—creates another opportunity for consumers to think more carefully about how they protect themselves. In the end, however, there is little consumers can do to protect themselves from such wide-scale attacks. It’s up to technology firms to build better security into their products in the first place.